cases when it comes to gray hair, even sooner. Most often students right out of school are terrified of color. We will build your confidence and guide you through a marketing plan to increase your color clientele. Color is a high demand service, widely requested to add texture, change, covering grays and spicing up some ones look. At Our Academy you will learn the principles of color, how to foil, weave, increase your coloring technique skills, the difference from semi, demi, and permanent color and how to up serve your customer to color services. 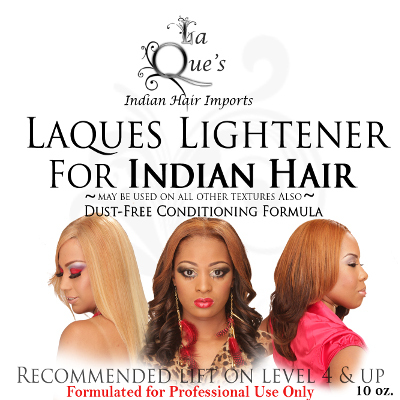 You will use our very own LaQue’s demi color and LaQue’s Lightener that we formulated to color hair extensions to safely color hair without jeopardizing the integrity of the hair. Color can increase your revenue in heightened numbers. In our Color Boot Camp you will be given everything in your kit to color natural hair as well as hair extensions. You will make a color ring and you will be timed on speed and accuracy. If you go into a commissioned salon it is imperative you learn time management. If it takes you hours to apply foils you will not increase your bottom line, so we start with timing first, then theory and lastly we focus on skill technique.